Bojangles believes you should love your hair and with a colour & cut to suit your individual personality. We ensure all our clients receive a bespoke professional service to fulfil your every need. Each month we release our new offers helping you saved money without compromising on quality. Show your support and like us on Facebook. Need further information? Check out the contact section at the bottom of the page. To ensure your safety some technical services require a skin test 24 – 48 hrs before appointment. Full Bridal & Hair Up service available in salon, please ask for details. 10% discounts for students. Don’t forget your free fringe trim in between visits. Treat a friend with our Gifts Cards, ask at reception for details. All our stylists work on a self-employed basis to ensure a personal customer experience. Here at Bojanges we have a diverse selection of staff. Look through our staff profiles to find the member of staff to suit your requirements. Jo took over the salon in 2012. Jo has covered all aspects of the industry. She has a degree in colour and various specialist cutting and colouring courses. A previous trainer Jo has a degree in teaching so enjoys helping with the academy sessions for the trainees. 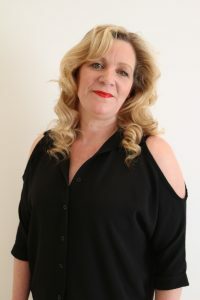 She has worked internationally at vintage fairs and on various photo shoots, Jo shared vision for the salon is to provide clients with a relaxed friendly atmosphere, great services with professional staff. Jo is full time with late appointments available on request. 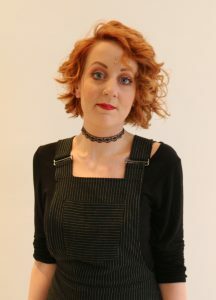 Jessica has been in the industry for over 10 years and exceeds in colouring & occasion hair. If you are requiring something more alternative then Jessica is your girl. With experience in mermaid hair & undercuts with designs look no further. Specialist hair for weddings, balls and proms is also available. Late appointments are available on request. Jessica is a full time self employed member of the team.